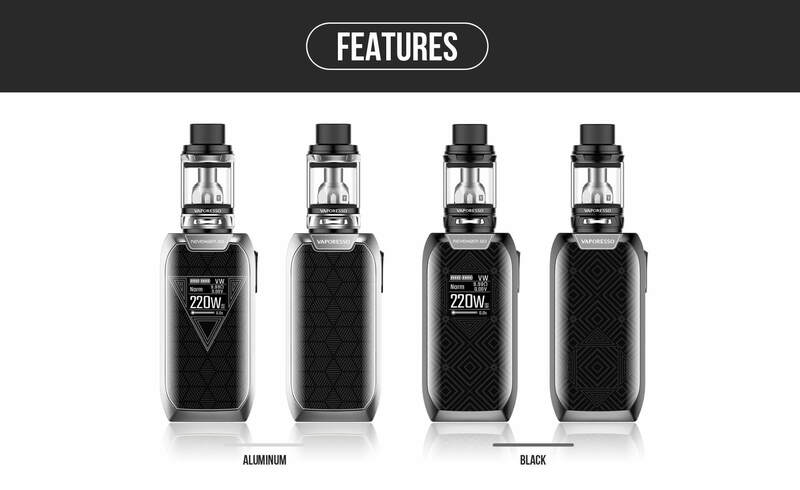 Revenger Go by Vaporesso maintains the most comprehensive design of the Revenger family, the responsive touch buttons, bringing out the more integrated look of the IML interface. backed by massive 5000mah built in battery, up to 220W. 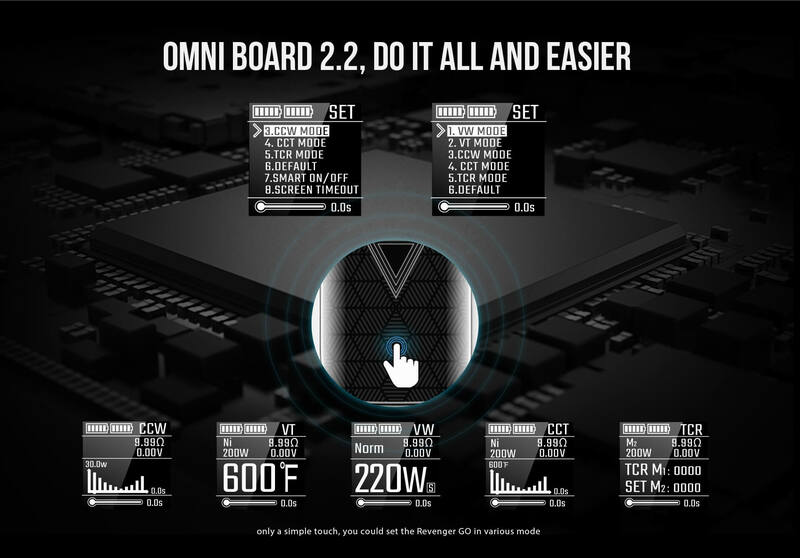 Upgradable Omni 2.2 chip meet all your desire. Equipped with NRG tank improved, you will be rest assured enjoying the flavor and vapor out of the variety of GT cores available. 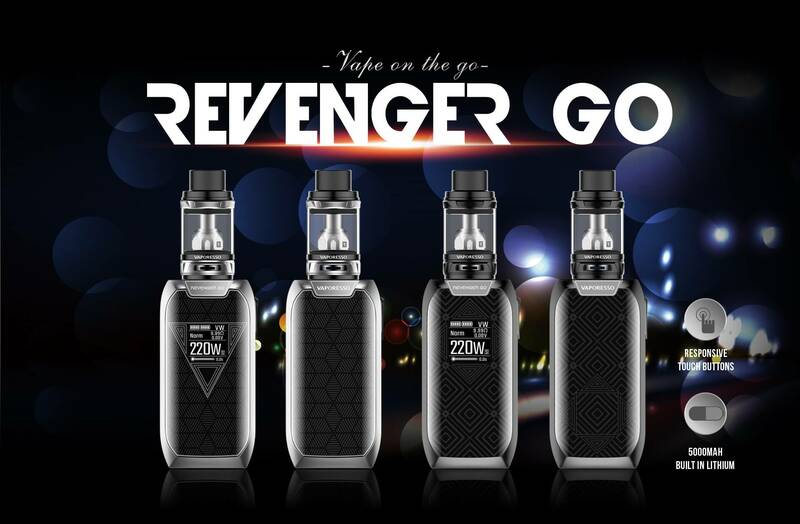 Revenger Go, Vape On the Go! NRG Tank is a masterpiece for cloud chasers. With 5 different coil options to choose from 2ml and 5ml capacity, NRG tank is truly a nuclear cloud maker.